Here is another quick preview from my new DVD, Moving into Math Stations, K-2. It’s a tour of a math teacher’s closet where he stores manipulatives. How do you get your math stuff organized? I am very excited to be able to share a new clip with you from my new math DVD, Moving into Math Work Stations. I hope you enjoy this preview! If you would like to be notified when the DVD becomes available, visit the Stenhouse website and sign up! 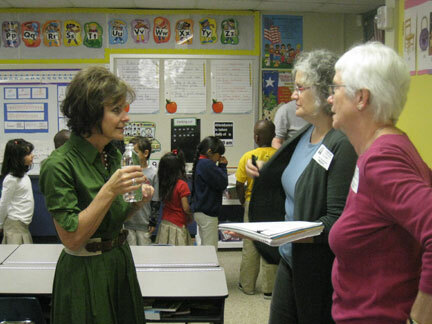 I had a blast shooting my new math work stations DVD at Askew Elementary School in Houston recently. 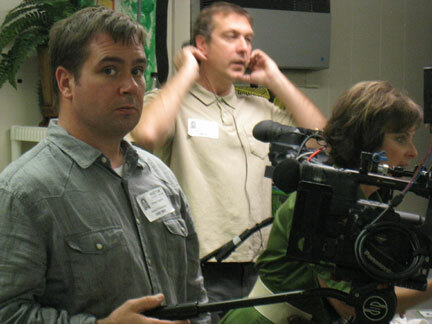 The students, teachers, and crew were amazing and I think you will all love the end product — due out in mid-2012. 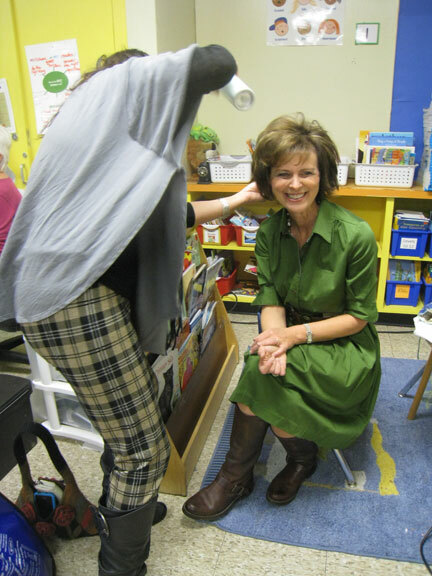 Here are some snapshots of what went on behind the scenes. Also check out this cute little story on the Stenhouse Blog about the shoot. It's a bit scary to have that boom hang over my head! I know many of you have been waiting for this moment and it’s finally here! You can now pre-order Math Work Stations on the Stenhouse website. The book will ship in late December/early January, but if you order now you get free shipping and it will come to you hot off the press! To get free shipping, click here and during checkout enter the code MATHWS. 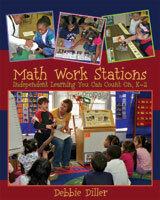 Just received the copyedited version of Math Work Stations and am working as fast as I can to go through it! 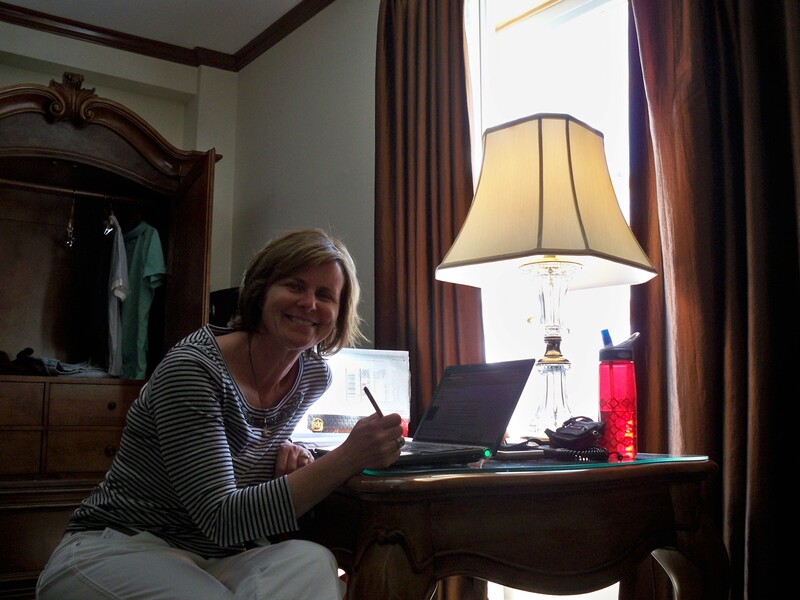 I even took it with me on vacation to CO. My husband, Tom, just retired last week and we took a few days off to celebrate. But, I want this book out as soon as we can, so I brought it along! Here you’ll see what it looks like now. I read through all the copyediting suggestions and agree/disagree with each one. (Mostly I agree.) I should have it back to my publisher in a week or so. I’ll only see it just one more time before you will be able to see it in its entirety! It will go to the designer next, so it can be typeset and look like the final product. I’ll keep you posted! “What does that mean?” you may wonder. It was certainly a new term for me. In a nutshell, the whole book has been written and revised (many times!) and is done, all the photos have been sent in, permissions for kids’ photos are complete, and now it’s in the hands of the copyeditor and design team. Hooray!!! I won’t see the book for a while (and neither will you, sadly; but don’t worry— it’s in great hands). 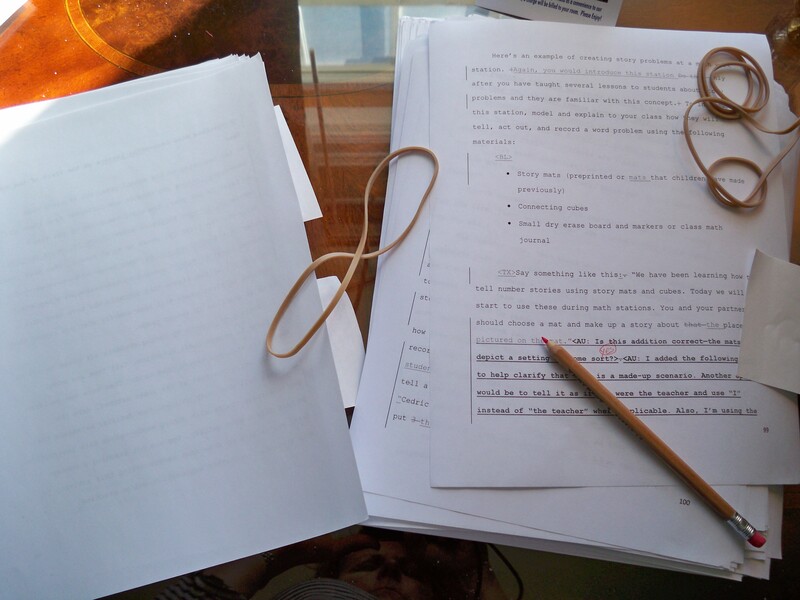 When I next see the manuscript, it will be copyedited. That means it will be all marked up (kind of like when you were in English class), and I will agree or disgree with any edits suggested (usually punctuation or grammar or word choice). I’ll send it back as quickly as I can to keep things moving (usually this part only takes me a few days). Finally, it goes to the printer and binder. Then it will be ready to be shipped to you to use with your kids! I can’t wait!!!! I’ll let you know the dates as soon as I hear something. Until then, you can sign up on the Stenhouse website to get notified when the book becomes available. One piece of news I got this week that I can share is that the book will have about 300 photos in COLOR!!! And it will have a lovely coil spiral binding. It’s going to be beautiful. Stay tuned for further updates.